It’s this new Austin that’s attracted so many, making it one of the nation’s fastest-growing cities and the 11th largest in the country. Austin is also considered one of the top tech centers driving much of the U.S. economy. But as forward-thinking and hip as this city may be, its transportation infrastructure is decades old and based on a car culture that’s clogging arteries at every turn. 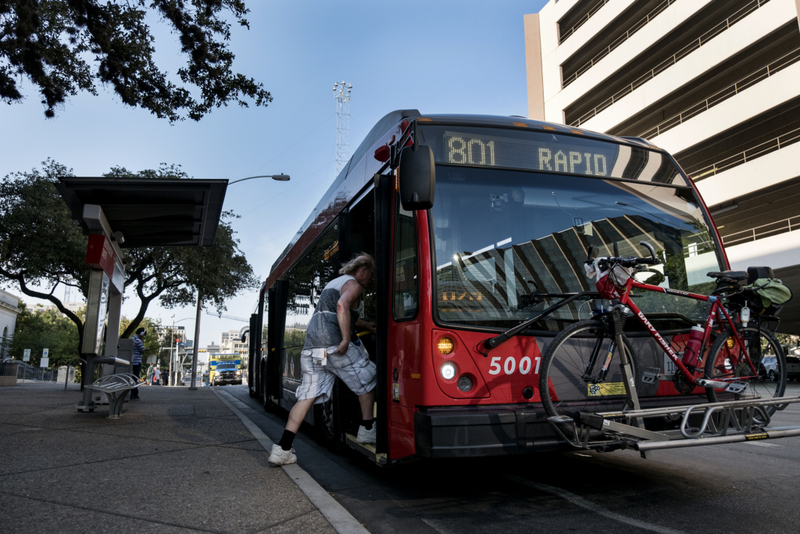 While subways or light rail systems are the norm for many major metropolitan areas, mass transit in Austin generally means buses. In 2010, a solo commuter rail line began running a 32-mile-route from a northern suburb to downtown, but it’s used by a mere fraction of commuters. Navigating rush hour is a test of patience, as traffic comes to a crawl in both directions along either of the city’s two major north-south freeways that empty into downtown. The slow slog is further complicated by new construction projects as well as major highway construction on these freeways. 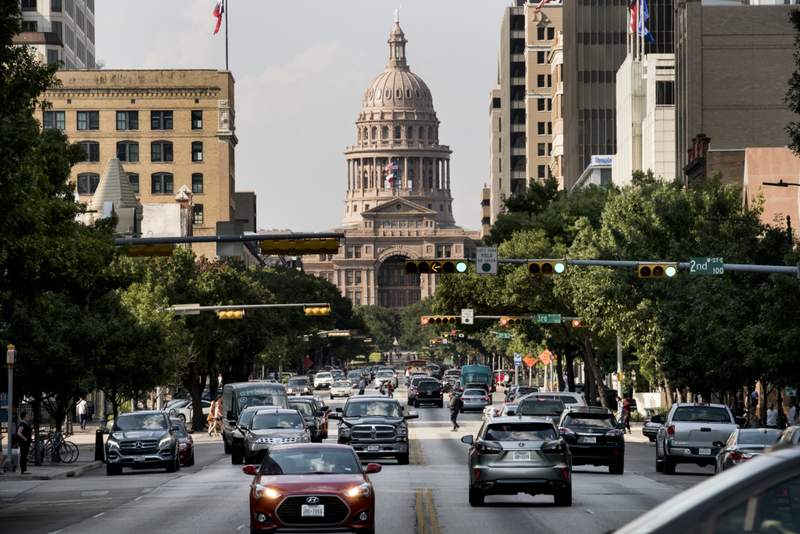 Austin ranks as the 13th most congested city among 240 rated across the U.S.
Austin is a micro-laboratory for the country in that the problems we have are problems that you can translate to other places. With an estimated 450,000 people using city roads daily, transit is an enormous challenge. Austin officials, understandably, have been working on solutions. 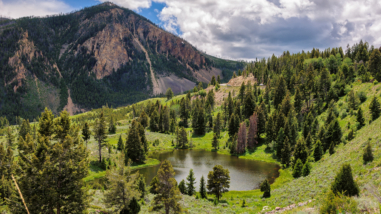 Things started coming together when Rocky Mountain Institute, a Colo.-based think tank on energy and transportation, began looking for a place to put its vision for transformational mobility change into practice. After a search that began in 2014 with 1,000 potential cities, RMI choose Austin as its proving ground. “We wanted a pioneering city,” said Jeruld Weiland, RMI’s managing director. RMI’s legion of out-of-the-box thinkers are at the helm of a mobility revolution in a city where individual vehicles have ruled the road. By shifting from transportation based on fossil-fueled personal vehicles to a system with options — shared, electrified and autonomous — the aim is for Austin to be a net-zero greenhouse gas emissions city by 2050 as it gets a handle on traffic congestion. Austin had already been working on clean energy initiatives that impact climate change. The city and RMI share a common goal of transforming energy use in order to secure a low-carbon future. RMI’s hands-on help is shaping the city’s overarching effort to get Austinites moving – from last November’s voter approval of a $720 million mobility bond for local and regional road projects as well as bicycle and pedestrian improvements to developing the city’s first long-range transportation plan since 1995. RMI’s role in these locally-initiated projects involves coordinating pilots and moving to shared, electric and self-driving vehicles. A chronic challenge to accessing downtown parking contributes to congested streets, which is another reason planners believe significant increases in parking rates will make people re-think driving their own vehicles. Ride-hailing avoids the need for parking, which can help change the downtown landscape and eliminate the need for massive parking garages. The city’s transportation director Rob Spillar predicts the locals will feel and see the mobility changes within 10 years. “Austin is a micro-laboratory for the country in that the problems we have are problems that you can translate to other places,” he said. The City Council formalized the vision with a resolution approved in March that outlines how this multi-year partnership will take aim at congestion and tackle other mobility challenges, including cost, accessibility, safety and the environment. The idea is to leverage emerging technology for “mobility as a service” that’s electric and autonomous and shifts from personally-owned vehicles to the shared variety. We can’t build our way out of congestion with more roads. Before RMI’s involvement, the city had already turned to technology by implementing automated traffic signal timing, variable toll lanes and open road toll lanes. Transportation priority lanes for buses also move transit; however, these efforts only scratch the surface in a city marked by immobility and gridlock. 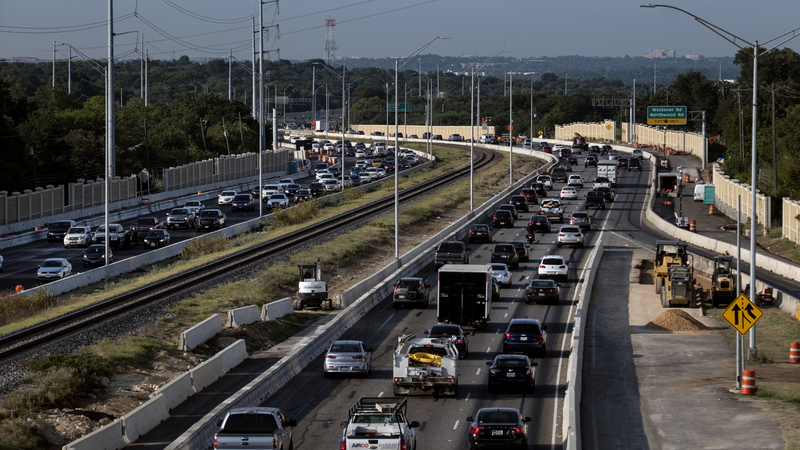 A longtime local measure of the city’s pulse — the Zandan Poll — found in April that 74% of Austinites surveyed cited traffic/roads/transportation as the most important problem facing the city. Todd Hemingson, of Capital Metro, the city’s public transportation provider, is well aware of the obstacles. As part of its own plan, Capital Metro aims to transform its fleet from petroleum powered to electric powered, with a focus on electric powered autonomous buses. Hemingson said the transit agency hopes to have a pilot project on the ground with 10 or fewer electric powered buses by 2019, all part of a collaboration with RMI and Austin Energy, a publicly-owned electric utility. Austin Energy has implemented several initiatives, including a program for low-income residents called “EVs are for Everyone” and Plug-in Everywhere, where more than 1,000 subscribers pay $4.17 month to use any of approximately 600 charging ports around town. Plans include introducing 330 electric vehicles into the city fleet by 2020 that will help reduce CO2 emissions at an estimated cost savings of $3.5 million total over the vehicle’s lifetime. The fleet currently includes 25 plug-in electric vehicles and many that use alternative fuels and are electric hybrids. Electrified vehicles also play into the shared part of the RMI equation, which includes ride-hailing companies, such as Uber, Lyft and RideAustin, the local, nonprofit ride-hailing service. RMI is discussing programs that would make such vehicles available to drivers. Additionally, RideAustin is collaborating to help low-income and uninsured residents get to medical appointments and pharmacies. 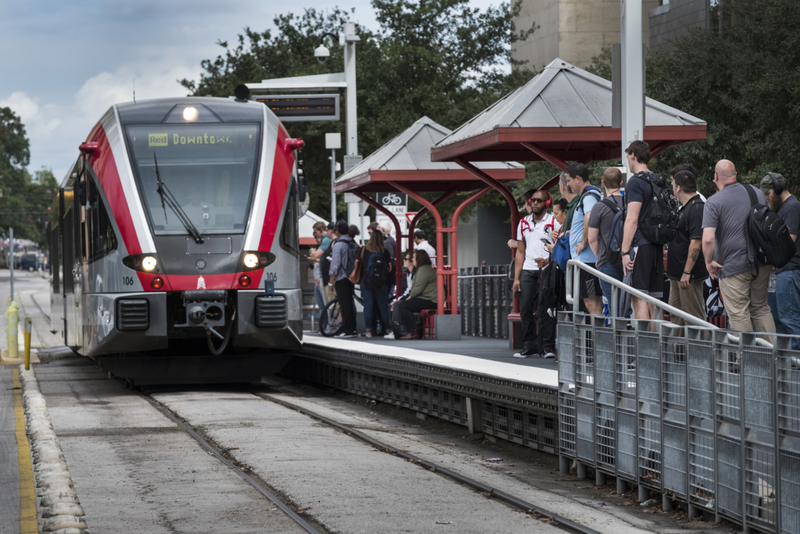 The pilot is expected to launch this fall, with free RideAustin service courtesy of a $50,000 grant from Capital Metro. 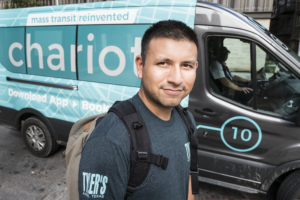 Another collaboration – this one initiated by RMI – launched last fall as a commuter program for employees of Whole Foods, the Austin-based healthy supermarket chain recently acquired by Amazon, and GSD&M, an Austin-based ad agency whose clients include Southwest Airlines, Hilton and AT&T. The companies paid for a shuttle service from downtown mass transit stops (bus and MetroRail) to and from their workplaces during the morning and afternoon rush that is free for their workers. The companies also paid to subsidize on-demand use of certain bikeshare, carshare and ride-hailing organizations for their employees whenever they want. Whole Foods has 2,000 employees downtown and GSD&M has between 400 to 450 employees. Both offer free garage parking to employees. The shuttle has generated ridership, but officials say it’s too early to know whether a following will grow enough to continue or expand the service. Whole Foods extended its financial support past the pilot stage, but GSD&M opted out after four months, citing minimal employee use. “We’re in Texas and we like our big trucks and cars and we like to be in them,” she said. Dixon Milner, an MBA student at the University of Texas at Austin and an intern at Whole Foods, agrees. “I live too close to drive and too far to walk, so it’s a good in-between. It’s nice to sit and read your phone in the morning instead of sitting in traffic. And it’s environmentally conscious,” he said. Such thinking shows how some commuters are warming up to alternatives. Adjusting attitudes requires mobility options enticing enough to form new habits. RMI has helped Austin focus on transportation change nationally and internationally. Austin is among the 16-city Smart Cities Collaborative, which is exploring how technology can improve urban mobility as a project of the Washington, D.C.-based Transportation for America. And it’s one of 10 cities worldwide focused on autonomous vehicles through a joint initiative of the nonprofits Bloomberg Philanthropies and the Aspen Institute. Despite lofty goals to reduce congestion, commute time, air pollution and carbon dioxide emissions, as well as get more people walking and biking, transformation won’t be easy. Public transportation has to be convenient, with short wait times to make it a viable option. With 100-plus degree summer days, biking and walking become less desirable. And the big obstacle is a personal car mindset that’s deeply ingrained. For now, RMI is acting as a catalyst with the city and its stakeholders in developing and implementing pilots. The organization plans to roll out up to a dozen projects over the coming year in Austin, each designed to prioritize the movement of people rather than cars, drive adoption of electric vehicles and pave the way for self-driving cars. Part of the plan includes a close look at urban design modifications that will coincide with the city’s current revision of its land development code. Although incremental change is at hand, it’s too soon to know which parts of this vast mobility experiment will stick enough to replicate in other cities. 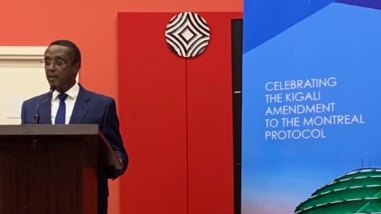 But this partnership between RMI and the city of Austin – along with the testing of innovative ideas – is a sign that despite all the hurdles, things are moving in the right direction. Editor’s note: Sharon Jayson spent a decade at USA Today covering national trends, including education and research. Now based in Austin, Texas, she is a freelance journalist.